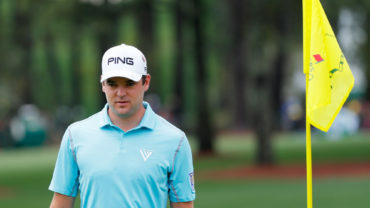 AUGUSTA, Ga. – Adam Hadwin of Abbotsford, B.C., shot an impressive 3-under 69 on Thursday in the first round of the Masters to enter into a seven-way tie for fourth, three shots back of leader Jordan Spieth. 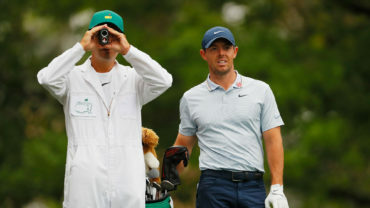 Here are three things to know before he tees off at 2 p.m. Eastern time for the second round at Augusta National. Aside from a birdie on the par-4 No. 9, Hadwin was at even par through the front nine in the first round at historic Augusta National. The back nine, however, was more eventful. He birdied the 10th and 12th holes, then bogeyed the par-4 No. 14, but followed it up with back-to-back birdies on 15 and 16. A bogey on 18 dropped him into the tie for fourth. Had he made that shot, he would have been in a three-way tie for second with Americans Tony Finau and Matt Kuchar. “If it werent for this tournament called The Masters, I would be there to send off the Sedins. Guess this view will have to do! Congrats on an incredible career on the ice and for being even better people off of it! The city of Van was lucky to have you!” tweeted Hadwin late Thursday, adding a photo of the game on his laptop computer. 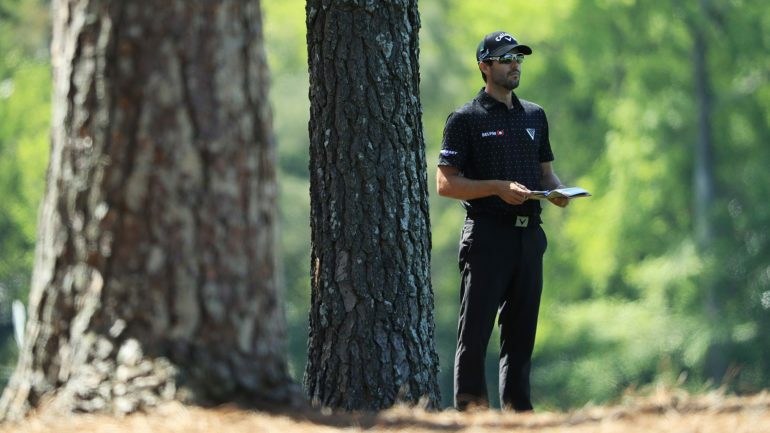 This is Hadwin’s second consecutive year at the Masters. Last season he finished tied for 36th at 6-over par. His best round was the fourth where he fired a 2-under 70 to move up the standings. On Friday he’s playing with Patrick Reed, who missed last year’s cut, and Charley Hoffman, who tied for 22nd at 2 over.